Two summits of a very unique Peak, very rarely climbed, in the Heart of the Karakoram mountain range in Pakistan. 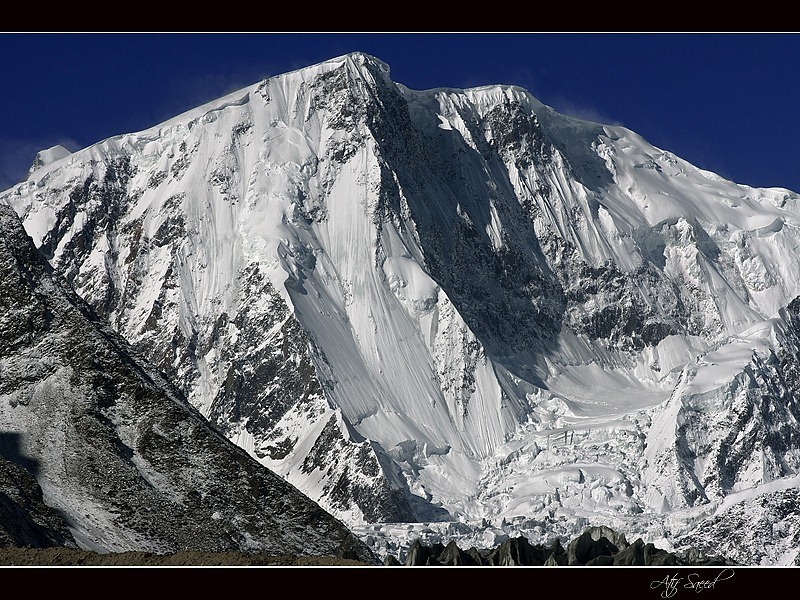 The first one is Passu Diar (7295m), and its first summit was done on 1998, very beautiful almost virgin peak… The second is Passu Sar (7478m) and it was first climbed on August 1978, very especial date for me since I was only three months old by that time. On this expedition we are going to attempt a combined climb of both summits on the 34 anniversary of it first climb, three months after my 34th birthday. Passu Sar (“Passu Dome”, “Passu I”, West Summit, 7478m, 24528ft) is a mountain peak in the Batura Muztagh, a sub-range of the Karakoram mountain range, located in the Gilgit District of the Northern Areas of Pakistan, west of the Hunza Valley. It is the highest point of the Passu massif, which also includes Passu Diar (“Passu East”, “Pasu II”, “Peak 55”, East Summit, 7295m, 24933ft). The peak lies on the main ridge of the Batura Muztagh, about 7 km (4 mi) east of Batura-I (“Batura Sar”, 7885m) surrounded by Shisper (7619m), Balter peak (7400m) and Kampir Deyor peak (7611m). It’s located about 100km beyond the China border and 150km from Gilgit, between Batura glacier (the 6th longest glacier of the world) Passu glacier, Ghulkin glacier, and Kamaris glacier.